Bevis Hillier was born on 28 March 1940 in Redhill, Surrey. He is an English art historian, author and journalist. His father was Jack Hillier, an authority and author on Japanese art. His mother was Mary Louise Hillier, an author on wax dolls and automata. Hillier was educated at Reigate Grammar School and Magdalen College, Oxford, where he won the Gladstone Memorial Prize for History. He was employed as a journalist on The Times in 1963. In 1969 his book Art Deco of the 20s and 30s was published by Studio Vista. This was the first major work on a hitherto neglected period of art, which had been previously been referred to by various names. His use of the term "Art Deco" became definitive. In 1971 he curated a major Art Deco show at the Minneapolis Institute of Arts. The venerable Hillier (London Times, British Museum, Connoisseur, etc.) reviews Euro-American art styles from Edwardian to post-punk, as manifest in architecture, fashion, automobile design, pop music, and other joys and trials of daily life. No bibliography. Annotation copyright Book News, Inc. Portland, Or. 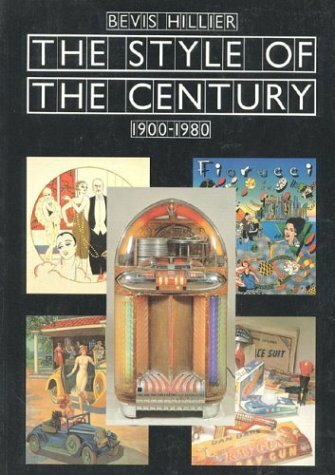 In this ambitious book Bevis Hillier cuts a wide swath through social and decorative history and give a far-ranging view of the twentieth century, from Edwardian and Art Nouveau to some startling predictions about what we may expect before "the magic year 2000".